1 2 3 4 5 Click to share your rating 28 ratings (4.7/5.0 average) Thanks for your vote! "Man Is The Warmest Place To Hide"
To sum up this masterpiece you are only to say two words..John Carpenter..he is in no certain terms the king of the horror genre and during the 80s and early 90s had movie goers worldwide screaming their little hearts out,what makes Carpenters movies so stunning is the fact that in many of the scenes he uses visual themes and no dialog from his actors to scare you and it does the job. One of his first outings with Kurt Russell in the lead,The Thing is a true masterpiece,it prays on every persons worst nightmare..Trus­t…and what if someone you knew wasnt who they appeared to be at all. For its day Rob Bottin's effects are amazing and there is enough gut wrenching blood and gore in this movie to have you wishing you handnt eaten your dinner before watching. For those who have never watched a John Carpenter movie before it is a worthy note to the fact that Mr Carpenter wrote and dircted the original “Halloween” in 1978 on a shoestring budget,he created Michael Myers and the music to Halloween is unmistakeable,due for release on Bluray later this year it is sure to be a huge success again. "Antarctic outpost terrorised by alien organism." This is one of my favourite scifi/ horror movies! It's gory as hell with a clever plot and great acting. To think that this movie is a 50s remake is quite incredible. The story is gripping and visionary, and it would have been way ahead of its time. I reckon it may have been the forerunner of Ridley Scott's acclaimed “Alien” series. This remake by John Carpenter came out in the 80s, but it's not at all dated (perhaps only in the sense that there are no women personnel at the outpost). 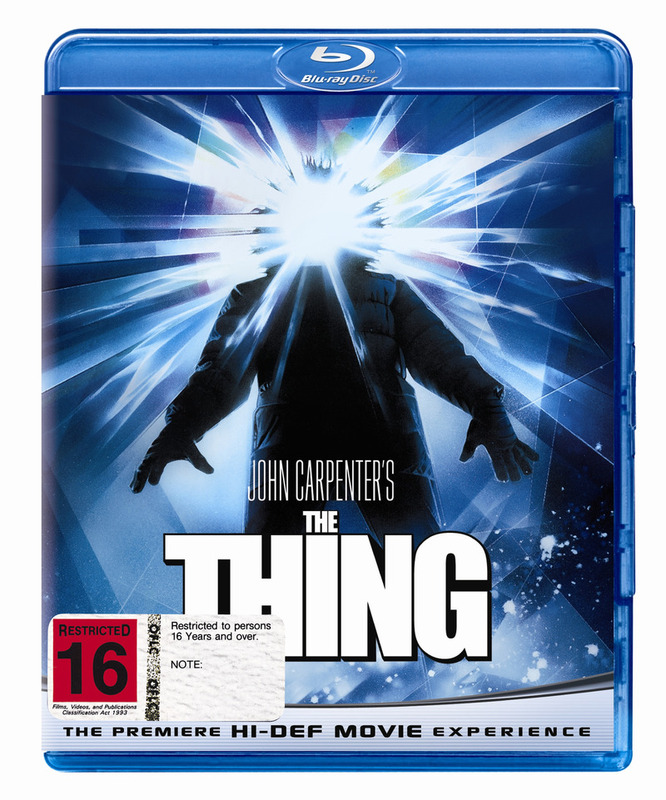 The special effects still stack up really well against more recent offerings and this film showcases Carpenter's mastery as a craftsman of visual horror and storytelling, as well as his innate understanding of human nature. The underlying questions are: who can you trust? and how can you survive when you can't even trust yourself?? This movie is entertaining: it's clever, spooky, gory, funny in a sick kind of way, scary, action-packed, unsettling, it has great atmosphere from start to finish, and the hi-definition makes it superb viewing. It's worth having just for those reasons. 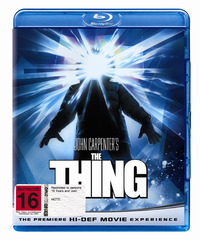 It's also a classic and a must-have for any serious blu-ray collection. Thumbs up to the Ape once again!! "For an old movie.....well done!" Considering this movie is quite old, it hits the mark as a solid, full on action and well made horror and it stands the test of time. The remake of the 1951 classic about an Antarctic outpost terrorized by an alien organism. In the winter of 1982, a twelve-man research team at a remote Antarctic research station discovers an alien buried in the snow for over 100,000 years. Soon unfrozen, the form-changing alien wreaks havoc, creates terror and becomes one of them.